I warned you last week that we’ll be sharing more Halloween treats, and today is one for Witch’s Potion. It’s kinda like the Witch’s Brew we did last year, but it’s kinda different. We liked it so much we wanted to make another version. 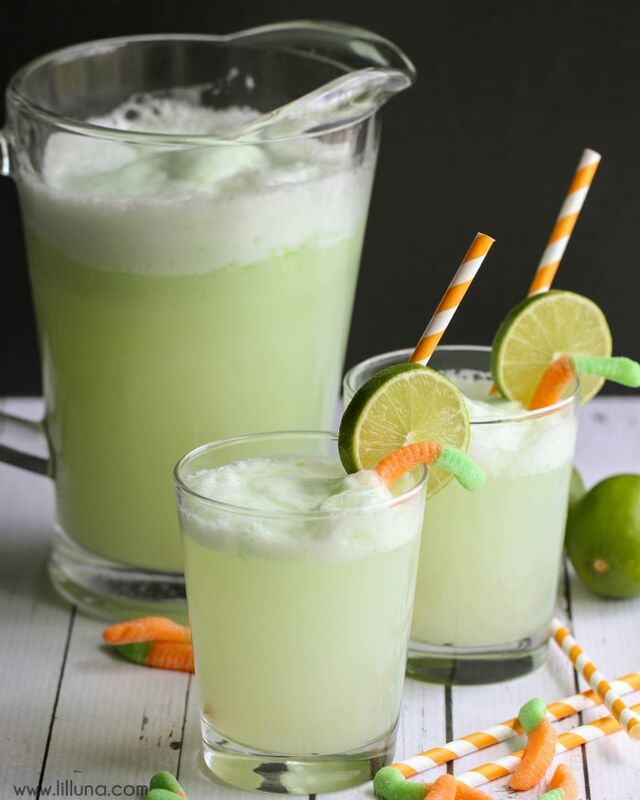 My whole family really liked this recipe because it has lime and pineapple and we love those flavors!! 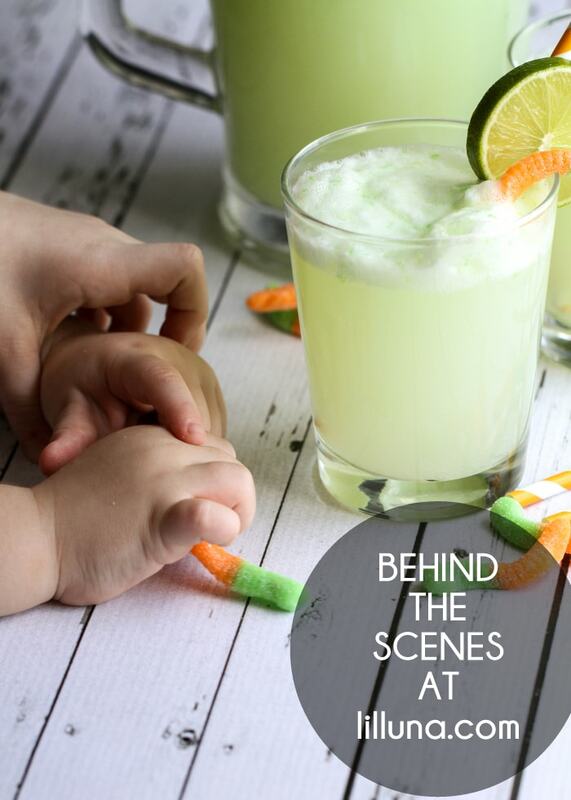 Oh yeah – and because we love gummy worms…. AND it’s my favorite type of gummy worm which is green and orange!! 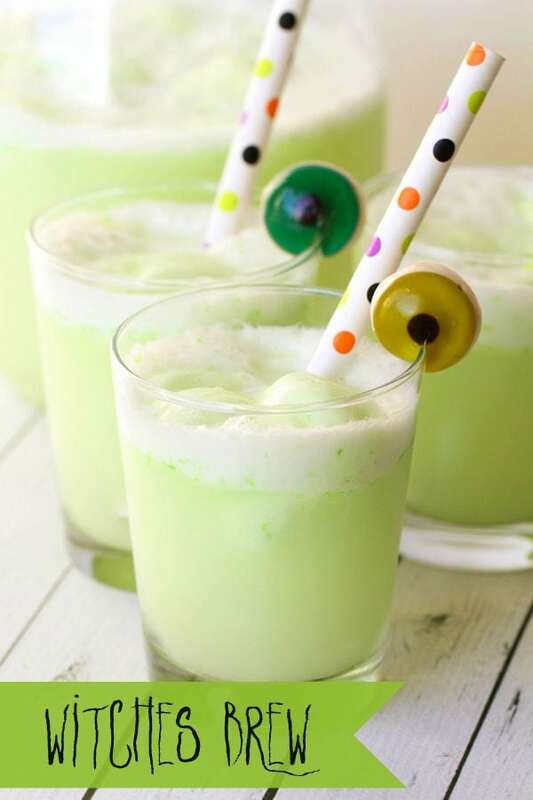 You can make this drink all year long but it would be perfect for Halloween!! 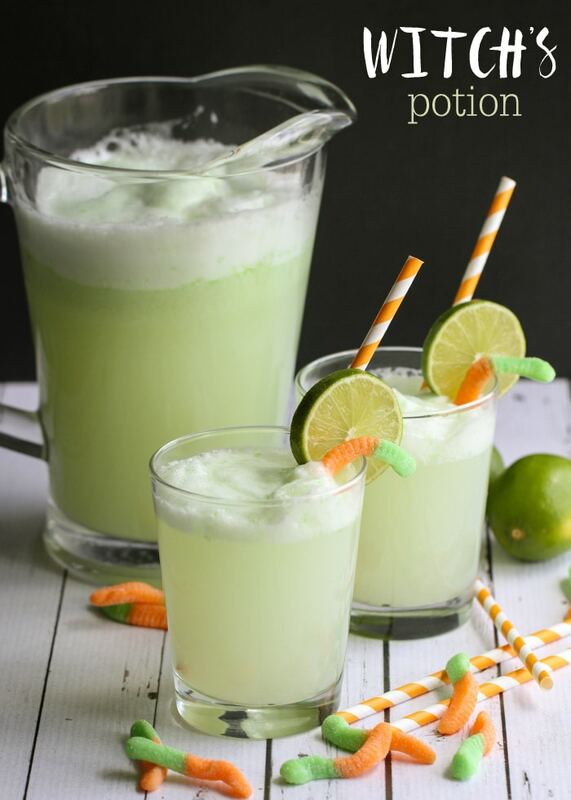 Witch's Potion Drink recipe - a chilled Lime and Pineapple mixture that is bubble and perfect for your next Halloween party! Spoon sherbet in right before serving and slowly mix and it will start foaming. 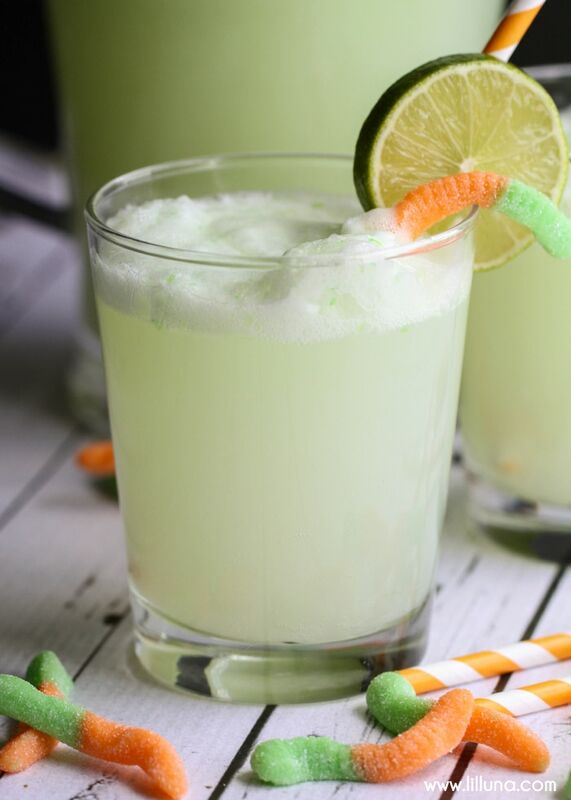 Garnish with fresh limes, gummy worms and ENJOY! 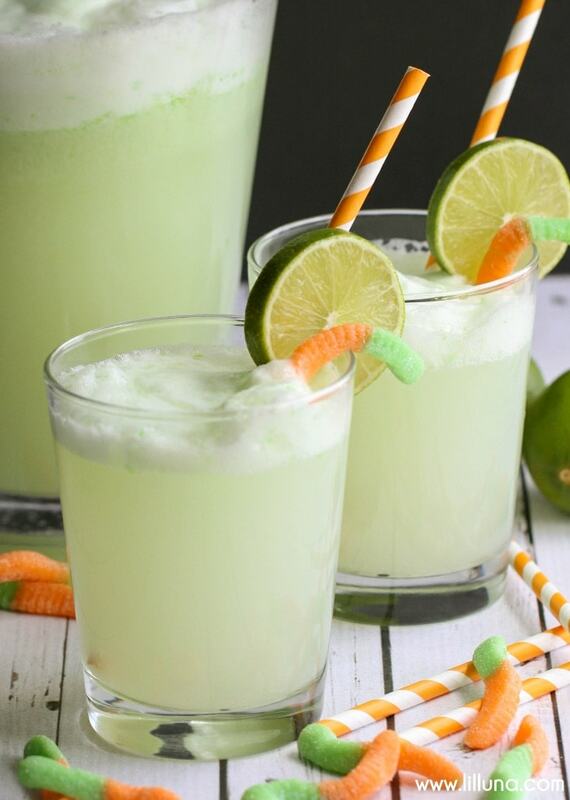 We love LIME and PINEAPPLE! We love Gummy Worms even more! 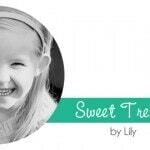 For all treats by Lily go HERE. We were laughing because my little brother, Wes, kept grabbing gummy worms off the table!! What a fun treat for Halloween! 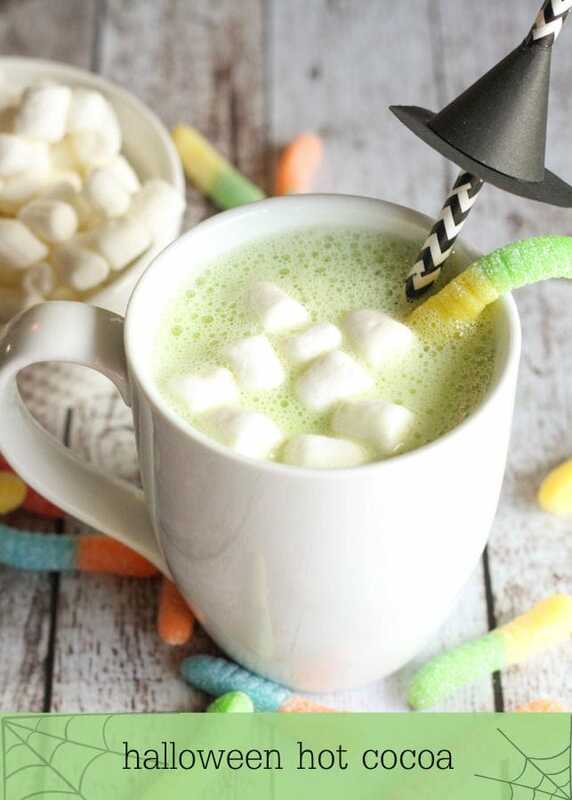 The gummy worms are the perfect decorations for these drinks. So SO fun! 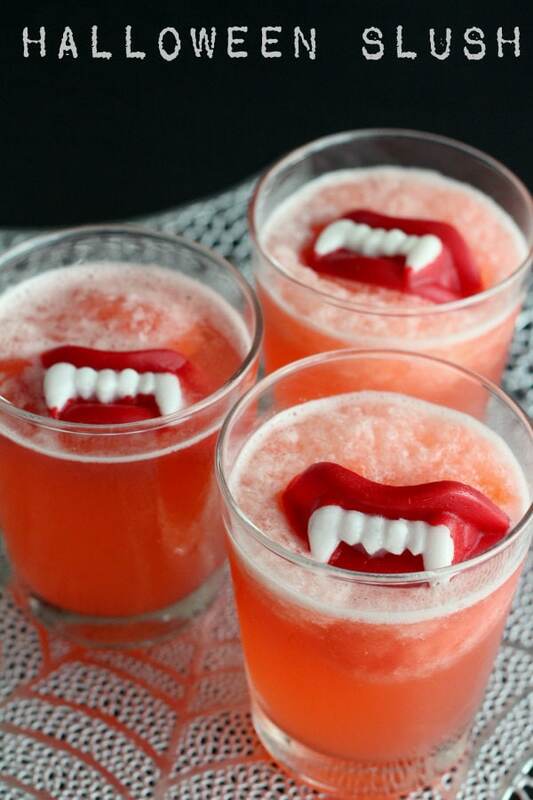 Love this punch for a Halloween party! I am planning my little guys 4th birthday on Halloween this year. He’s requested a Nightmare Before Christmas Party. This would be perfect! It’s so easy to make and the foam makes it perfect for any Halloween party. Thanks for stopping by!! Has anyone modified this recipie to make an “adult” version? This is good any time of year!